A weekly dance program catering towards teen and adults with developmental and intellectual disabilities that explore many different styles of dance. This new weekly dance program caters towards teen and adults with developmental and intellectual disabilities. We recognize that dance is an amazing tool to engage the mind and body, and to creatively express oneself no matter what skill level or ability. 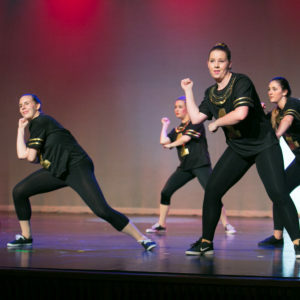 Intro to Dance will explore several different types of dance throughout the year including ballet, jazz, modern, and hip hop. We believe God has uniquely created each individual with purpose and worth, so our goal is to make every dancer feel valued! We cannot wait to dance with you! Classes: Multiple classes available. Click here to view the complete class list. Tuition: Standard tuition is $63 per month; discounts for annual/bi-annual memberships and multiple classes may apply. Click here to view tuition plans. Be the first to review “Intro to Dance (13+)” Click here to cancel reply.